As Memphis celebrates its 200th birthday, we reflect on how the city’s location on the bluffs of the mighty Mississippi River made it into an industrial and agricultural distribution hub, naturally becoming the prime location for meetings and conventions in the region. In 1924, the Memphis Auditorium Commission worked with Norwegian architect George Awsumb to construct the 12,000-seat Ellis Auditorium in order to accommodate the growing convention market and fascination with this West Tennessee city. Spearheaded by Robert R. Ellis, president of the Memphis Chamber of Commerce, the innovative $3,000,000 auditorium offered 30,000 square feet of display space and served as one of Memphis’ premier public facilities. Over the course of 75 years, many renowned artists like Elvis Presley and Mikhail Baryshnikov performed at the Ellis Auditorium, with Bruce Springsteen playing the final show of the auditorium’s lustrous history. To further meet the need for convention space, the Memphis Cook Convention Center, named for General Everett R. Cook, opened in 1974 with a 125,000-square foot column-free exhibit hall and dozens of meeting rooms at the original design of Haglund and Venable Architects. Ellis Auditorium was finally razed in July of 1999 for the expansion of the Convention Center and to erect the adjoining Cannon Center for the Performing Arts. Ellis Auditorium lives on in the Cannon Center as dozens of its seats and architectural terra cotta medallions were salvaged and built into the East concourse of the campus. The world-class Cannon Center officially opened to rave reviews in January 2003 and instantly became popular as the home of the renowned Memphis Symphony Orchestra. 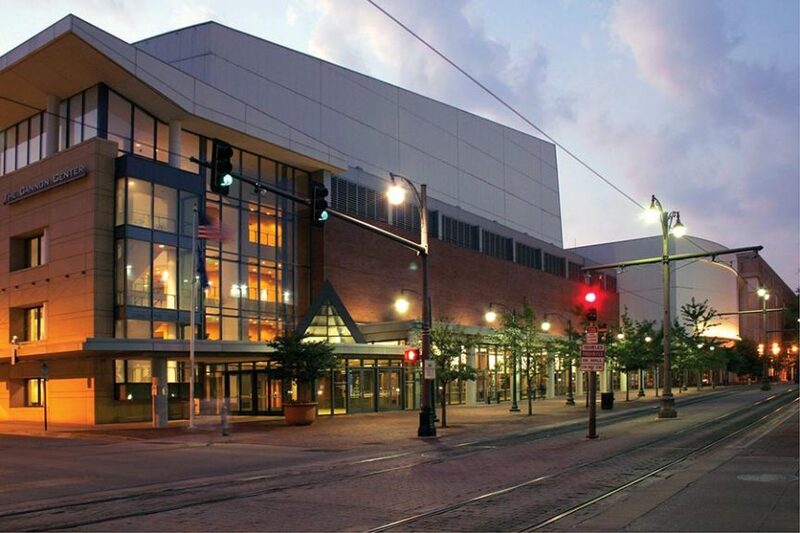 Named for the Bob and Kitty Cannon family of Memphis, the 2,072-seat multi-purpose facility hosts a multitude of events including ballet, opera, pop and rock concerts, touring theatrical productions, children’s theater, and general sessions for conventions. With a stage depth of 45 feet and proscenium height of 55 feet, the theater is an attractive space for local organizations, such as the acclaimed New Ballet Ensemble and the Young Actors Guild, to host their annual dance and musical recitals. Ample back-of-house space, fourteen fully-furnished dressing rooms, a double-bay loading dock, and a direct push-to-stage make a day at the Cannon Center a breeze for any production. 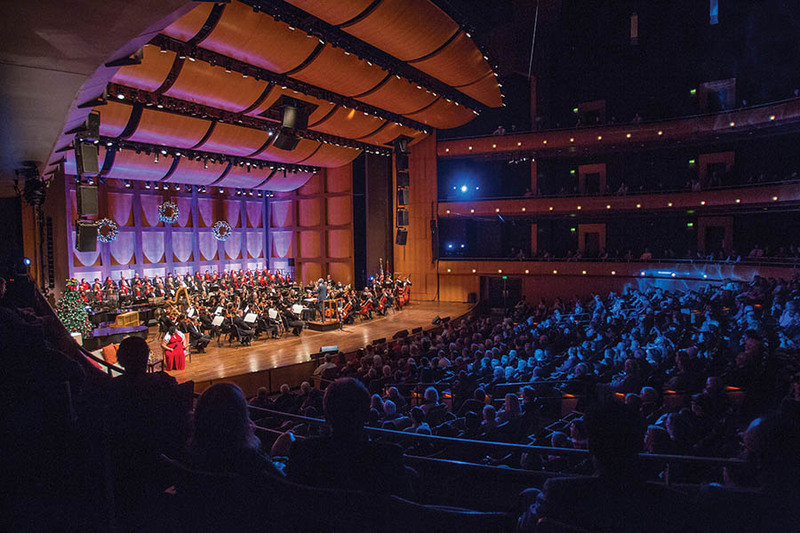 The team of WPA/Pickering, a joint venture, and a nationally-recognized team of consultants led by LMN Architects and Jaffe Holden Acoustics of Norwalk, Conn., collaborated to create a visual and acoustical environment that enhances performances ranging from full symphony orchestras to soloists. The Cannon Center was “tuned” by acousticians during a special Hard Hat Concert in January of 2003. The acoustics are complemented by the grandeur of the theater. Wrapped in warm acacia wood and deep burgundy hues, the horseshoe-shaped hall is dotted with luminous sconces while regal lamps hover like diamonds overhead. During his acceptance speech at the National Civil Rights Museum’s Freedom Awards ceremony, U2’s Bono called the Cannon Center an “amazingly beautiful theater”. 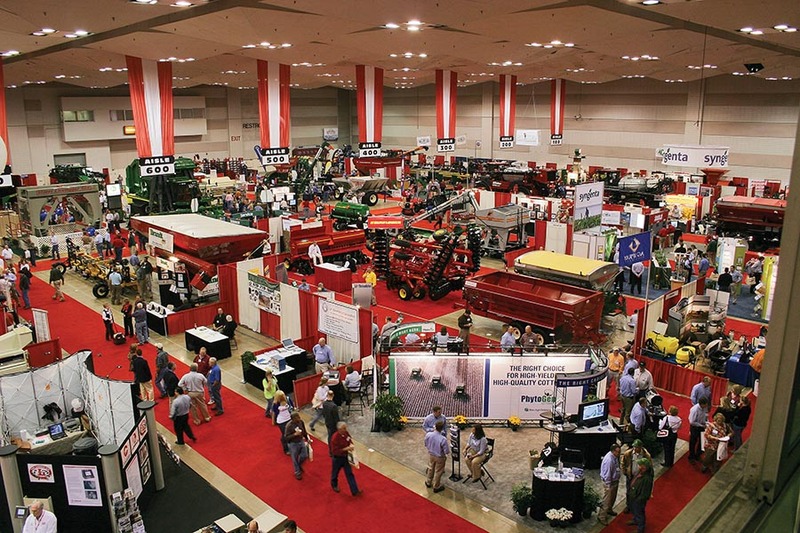 As the Mid-South’s premier meeting and event facility, the Memphis Convention Center hosts nearly a half million people and as many as 250 meetings, seminars and events annually. Major corporations, such as FedEx, St. Jude Children’s Research Hospital, and AutoZone, continuously choose the Convention Center for their corporate functions. The Center, it’s prime location, and amenities make Memphis a highly sought after destination for national and regional meetings, conventions, and trade shows. Featuring the 125,000-square-foot and 35,000-square-foot exhibit halls, a 28,000 square-foot flexible ballroom, thirty-one meeting rooms, and a 750-spot underground parking garage, the building offers a total of 300,000 square feet of meeting and exhibition space.